With a magnificent golf course view, this maintenance free home is one to see. Walk inside thru the double glass entry doors into the generous gathering room with disappearing sliders, crown molding, surround sound and porcelain flooring. Adjacent dining area and open kitchen is why this layout is perfect for Florida living. Gourmet kitchen has white cabinetry, stainless steel appliances, island, pantry and breakfast nook ideal to sit and enjoy the view. Master retreat has two walk in closets with built-ins, French doors to lanai and a luxurious master bath with dual sinks and walk in shower. Private den with wood floors and two additional guest suites gives one plenty of space. Step outside to the alluring pool with extended lanai. Other notable features include plantation shutters, New A/C unit installed in 2019 and spacious two car garage. 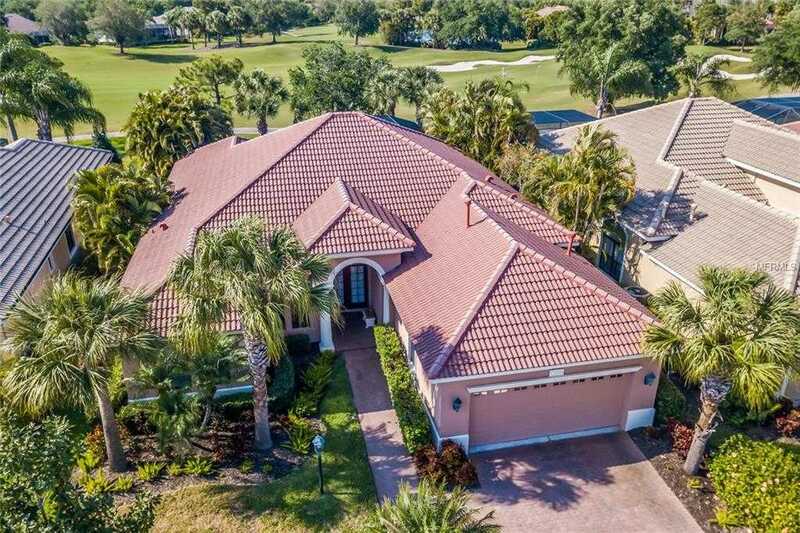 Lakewood Ranch has so much to offer such as a private Country Club, 3 private golf courses, 1 public course, tennis, pickleball, fitness, polo, as well as close proximity to UTC Mall, dining and our famous sandy beaches. With an ideal location and a perfect setup, this home is one that is a must. Please, send me more information on this property: MLS# A4432231 – $510,000 – 13946 Siena Loop, Lakewood Ranch, FL 34202. I would like to schedule a showing appointment for this property: MLS# A4432231 – $510,000 – 13946 Siena Loop, Lakewood Ranch, FL 34202.